10-Step Korean Skincare Routine Explained for Beginners and Pros! 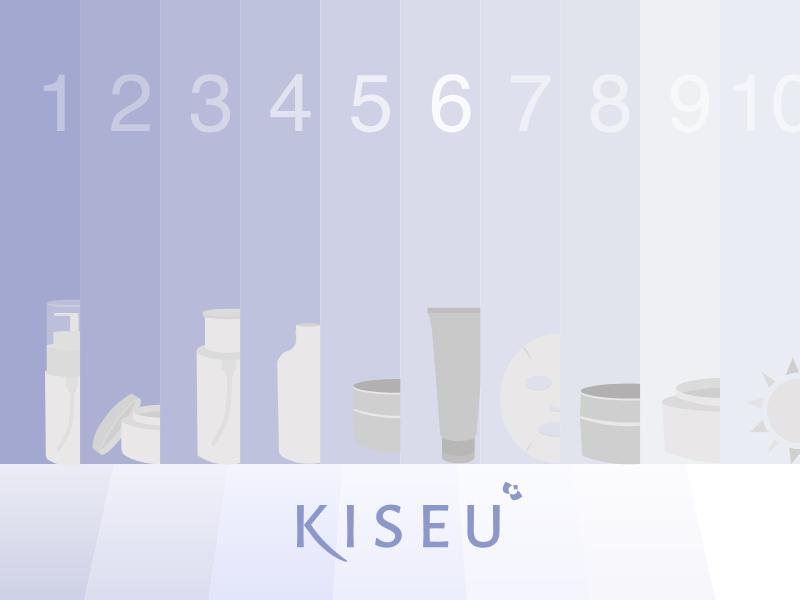 No matter your skin type, the 10-step Korean skincare routine is bound to give you results. Because it’s about prevention, it’s about promoting a health-first philosophy, it’s about using a careful system of solutions that tackle even the most stubborn skin issues and lastly, it’s about as flexible as your evening yoga teacher, having the option to be personalized and tuned to your specific goals. So it’s no surprise why it’s taking the beauty universe by storm. 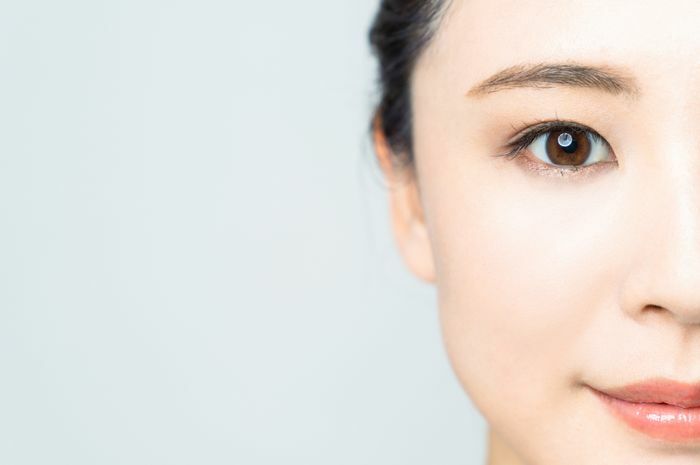 But even with these amazing characteristics, embarking in a 10-step Korean skincare routine can be daunting – there’s just so many steps and products, where do you start? Well, with our comprehensive guide, we’ll provide you with the right tips and a list of ideal solutions to use for each step, therefore, making the transition ever so easy. But before we deep dive into our 10-step Korean skincare guide, it’s probably best to do a quick reminder of what Korean beauty’s all about. With that done, let’s talk about preparation! Chill before taking the plunge! The K-beauty’s 10-steps can be a relaxing, therapeutic, yet fun and expressive addition to your lifestyle. Remember, there’s loads of flexibility to add or remove steps as you see fit for your skin type. After all, your daily skin routine is for relaxation and self-care – so take some time for yourself in the same way you would exercise or meditate. And fun fact – you don’t have to do every step both morning and night. As you progress on your skin care journey, we’d encourage you to determine what skin type you have to figure out what solutions are most suitable for you. Many of us haven’t necessarily thought about skin type that deeply before, but everyone’s is different – dry, skin, oily, combination, normal or sensitive. And remember to observe how your skin behaves with different ingredients, and make according changes. So with that said, lets begin! Time Spent: 10 minutes on routine. If you’re also using a sheet mask, add on 20 minutes. Directions: Massage onto dry skin and rinse with lukewarm water. Why? Start off using an oil-based cleanser to remove your makeup and purify your skin from other oil-based impurities (SPF, pollution, grime). Achieving Korean beauty means beginning with a double-cleanse, with both an oil-based and water-based cleanser. This double cleanse method helps purge the skin of all bacteria, makeup and other pollutants so that your skin can properly repair itself. And it’s the only real way of making your pores seem smaller for that smooth appearance. Tip: Don’t let the idea of washing your face with oil frighten you – even if you have oily or combination skin you’ll see the benefits if you follow up with the water cleanser. Directions: Add water and lather, massaging into skin. Rinse with lukewarm water. Why? Complete the double-cleanse by massaging water-based, foaming cleanser on your skin. This ensures your skin is hydrated and free of any remaining impurities (like dirt and sweat) to give yourself a clean base. Directions: Exfoliate 1 to 2 times a week to rejuvenate your skin. Wet your skin and gently massage product into your face, before washing off with warm water. Why? By exfoliating, you’ll be a step closer to achieving that baby-smooth skin by scraping off dead skin cells, unclogging your pores and prepping your skin to absorb the next rejuvenating products. You can choose from a physical exfoliant (typically a scrub) or a chemical exfoliant (an acid-based peel). Physical exfoliators are fine granules, with a gritty texture, that you can massage on to scrape off dead skin. Tips: The important thing is not to over-exfoliate and irritate your skin. If you have sensitive skin, try a chemical exfoliator instead, as they give a lighter exfoliating action. 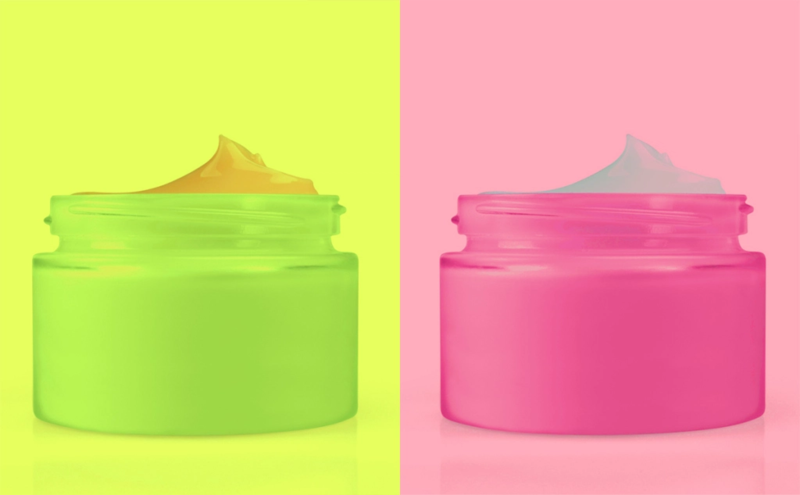 There are two types of chemical exfoliants: AHAs or alpha-hydroxy acids and BHAs or beta-hydroxy acids. Check out this article for the differences between AHAs and BHAs. Directions: Pat gently into the skin with your hands or apply with a cotton pad or ball. Why? Many people overlook this step, assuming that toner doesn’t really do anything at all. But when you dry your face after cleansing, your skin is left vulnerable. A toner, firstly, restores your skin’s natural pH balance, making it more hydrated and finally ready to absorb the essences and serums you’re about to apply. Secondly, it hydrates your skin so it can absorb the upcoming products. Lastly, a toner ensures that any remaining residue is completely gone after cleansing. Don’t skip this step! Directions: Use your hands to place it on the skin using tapping motions. Why? Now that your skin is clean and balanced, it’s time to nourish and brighten your skin with vitamin-packed essence. Essence is a concentrated formula designed to give your skin an extra push to recycle and repair skin cells, so that your skin appears more plump and youthful. Think of essence like taking a daily vitamin that helps with fine lines, wrinkles, and dull and uneven skin tones. Products: Serums or Ampoules or Boosters. Directions: Tap the treatment onto the areas of concern. Why For an added touch of youthfulness and to tackle those stubborn, hard to remove skin issues, you can use either serums, ampoules or boosters. As super concentrated formulas, they can treat specific skin concerns, helping your routine when it needs it most. You’re probably wondering what the difference is, and generally, you’ll find serums are a gel-like consistency with a higher concentration of actives, while, ampoules are even more concentrated, used for targeting specific skin issues. You can find a detailed guide on both here. Directions: Use 2-3 times a week. Place onto clean skin, and sit back and relax for 15-20 minutes. Why? : Sheet masks will help brighten and refresh your skin by locking in a mixture of hydrating ingredients to revive and restore hydration. This is a staple Korean beauty product because you can often see the plumping and healthy glow right after using it. Tip: Always use a sheet mask after toner, and before using any SPF or moisturizer cream. Ensure you leave the sheet mask on for the full time uninterrupted to allow the ingredients to intermingle with your skin. Directions: Dot under eyes, onto eyelids, and onto crow’s feet. Blend in with tapping motions. Why? The undereye area is a notorious problem spot for many people – you may notice the appearance of dark circles, general puffiness, fine lines or experience sensitivity. That’s why this most delicate area of your skin requires special attention with eye cream, to prevent or address any of these issues. Tip: Ingredients like green tea extract are great for eye circles. The other factors to reduce eye circles include hydrating yourself properly by drinking enough water, and taking care of your overall health by sleeping for the full 8 hours. Directions: Day and night, gently pat onto your face and neck. Why? Another product you can’t skip if you want a radiant glow is a moisturiser. A moisturizer will create a barrier to lock in all the ingredients you’ve applied and give your skin a hydrating boost. Directions: Each morning, apply sunscreen as the last step in your routine. Why? Prevention is key in Korean skincare. Sunscreen protects your skin from UV rays and potential damage to your skin health. If you don’t use sunscreen daily, then you’re undoing all the hard work from the previous 9 steps. Tips: Sunscreen is best applied in the morning. Ready for the 10-Step Korean Skincare Routine? Now that all the steps are laid, this 10-step Korean skincare routine should feel much more manageable! When you first get your products and line them up in front your mirror, you can make your life a little easier by putting little stickers on each one (Step 1, Step 2 etc.). Things to remember: Sunscreen is only used in the morning. Exfoliating is only necessary a few times a week. And you can apply a sheet mask as often as you want, but 2 to 3 times a week should be perfect to get the healthy, vibrant skin that you’re looking for. As for more beauty and health related tips, follow our blog, visit our shop and look for more tips from the world’s best beauty practices!